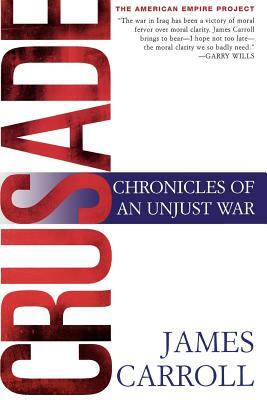 With the words "this Crusade, this war on terror," George W. Bush defined the purpose of his presidency. And just as promptly, James Carroll-Boston Globe columnist, bestselling author, and respected moral authority-began a week-by-week argument with the administration. In powerful, passionate bulletins, Carroll dissected the President's exploitation of the nation's fears, invocations of a Christian mission, and efforts to overturn America's traditional relations-with other nations and its own citizens. James Carroll is the bestselling author of the National Book Award-winning memoir An American Requiem; Constantine's Sword, a history of Christian anti-Semitism; and several novels. He lectures widely on war and peace, and on Jewish-Christian-Muslim reconciliation. He lives in Boston, Massachusetts.